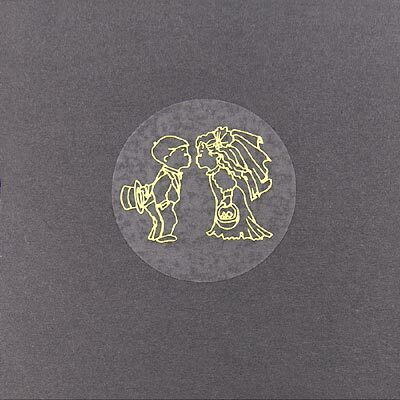 This section has a great selection of personalized and non-personalized envelope seals. 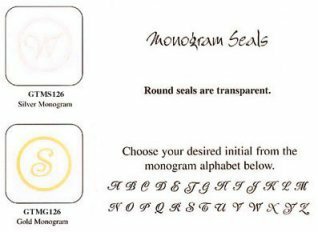 These seals also are great for favor decorations and personalization. These adorable cake stickers are perfect for your save the date invitations or wedding invitations. They are also great for your favors. You can use them blank, you can print or write on them, or we can print on them for you. The cake stickers are just so cute. Price is per pack of 54 cake stickers. If you are using our services to print, please put your personalization in the comment field below. 1 3/8" x 1 3/8" Please keep size in mind with personalization. Shortest text on top and longest on bottom, for example: If you are using them as save the date stickers: top: 06-18-06 middle: Chicago, IL(city) bottom: Beth & Bob (names) or top: blank middle: date bottom: names. If using them as favor labels top: date middle: first name bottom: "&" second name or top: first name middle: "&" bottom: second name. These are just some examples. 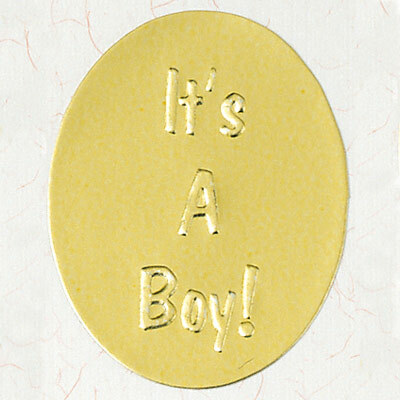 Envelope Seals - "It`s A Boy" These gold "It's A Boy" seals add a final touch to invitations, favors, or just about anything. ~1.5" diameter. 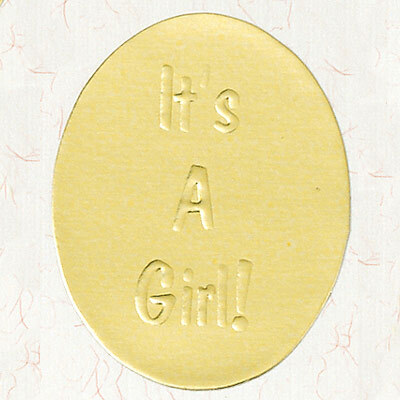 Envelope Seals - "It`s A Girl" These gold "It's A Girl" seals add a final touch to invitations, favors, or just about anything. ~1.5" diameter. 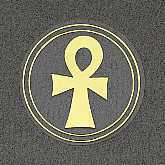 Envelope Seals - Ankh Foil Ankh within circles of gold or silver decorate this envelope seal. Envelope Seals - Anniversary Seals These seals add a final touch to invitations, favors, or just about anything. 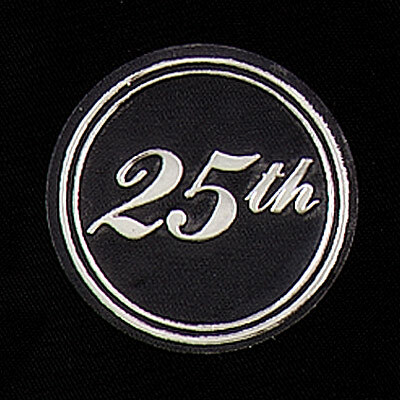 You can choose either silver 25th or gold 50th 1.25" diameter. Envelope Seals - Baby Booties These gold baby booties seals add a final touch to invitations, favors, or just about anything. ~1.5" diameter. 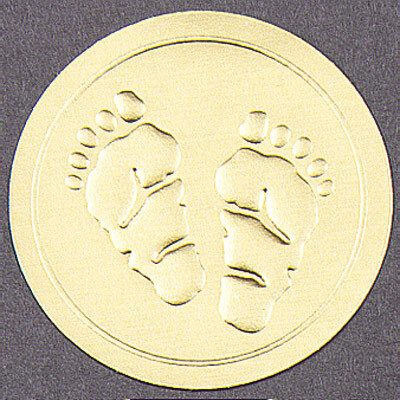 Envelope Seals - Baby Footprints These gold baby footprints seals add a final touch to invitations, favors, or just about anything. ~1.5" diameter. Envelope Seals - Butterflies Seal your envelopes with these beautiful butterflies envelope seals. 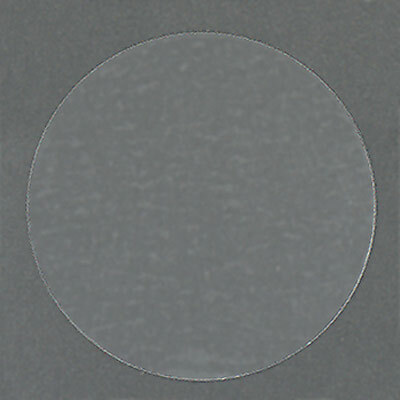 Envelope Seals - Clear Round This blank clear round seal is the perfect closure to any envelope or folder that has a design.~1.5" diameter. Envelope Seals - Cowboy Love This cowboy boot envelope seal complements your country-western ensemble. 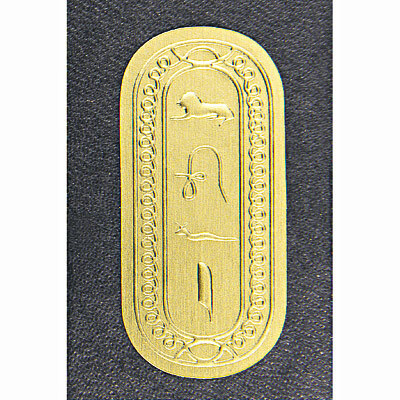 Envelope Seals - Embossed African Symbols Gold seals embossed with traditional African symbols. 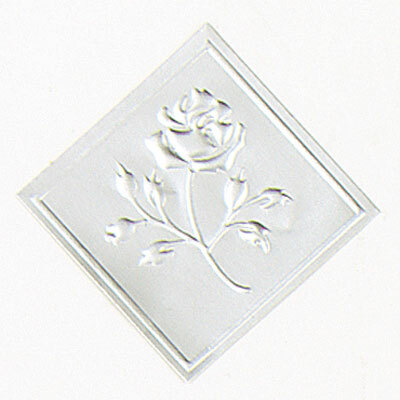 Envelope Seals - Embossed Rose Seals These seals add a final touch to invitations, favors, or just about anything. You can choose either gold or silver 1.5" diameter. 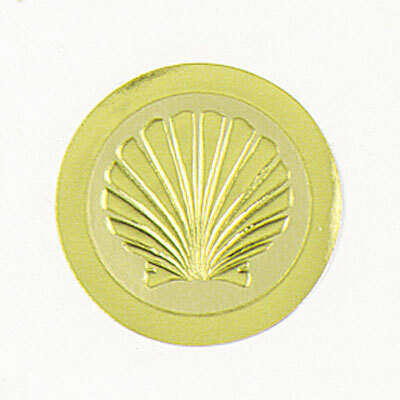 Envelope Seals - Embossed Shell Seals These seals add a final touch to invitations, favors, or just about anything. You can choose either gold or silver 1.5" diameter. 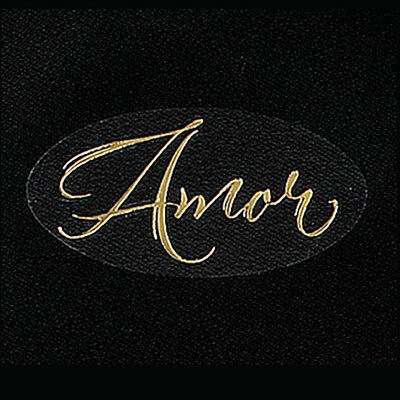 Envelope Seals - Gold Amor Choose these seals of "Amor" to complete your ensemble look. 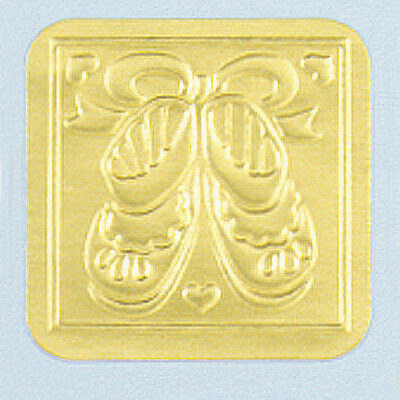 Envelope Seals - Gold Kissing Kids Seals These seals add a final touch to invitations, favors, or just about anything. 1.5" diameter. 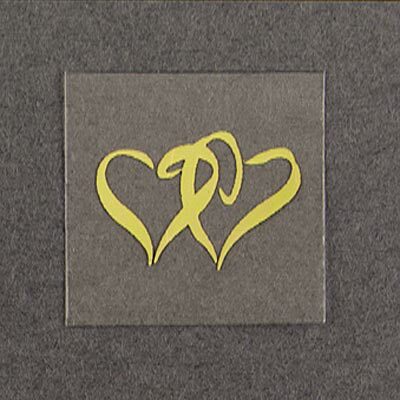 Envelope Seals - Gold Unity Hearts Seals These seals add a final touch to invitations, favors, or just about anything. 1.5" diameter. 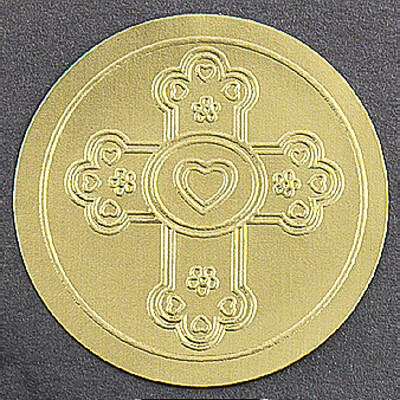 Envelope Seals - Heart-Crested Cross These gold heart-crested cross seals add a final touch to invitations, favors, or just about anything. ~1.5" diameter. Envelope Seals - Hearts Seals These seals add a final touch to invitations, favors, or just about anything. You can choose either gold or silver 1.5" diameter. Envelope Seals - Initial Round These seals add a final touch to invitations, favors, or just about anything. 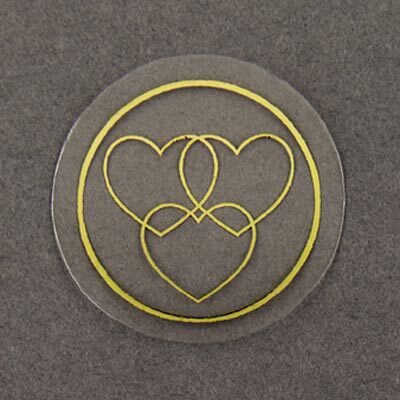 You can choose either gold or silver 1-1/2" diameter. This category has a total of 50 products divided in 28 per page.